Join Dr. Felecity Turnstone in an all-new adventure! 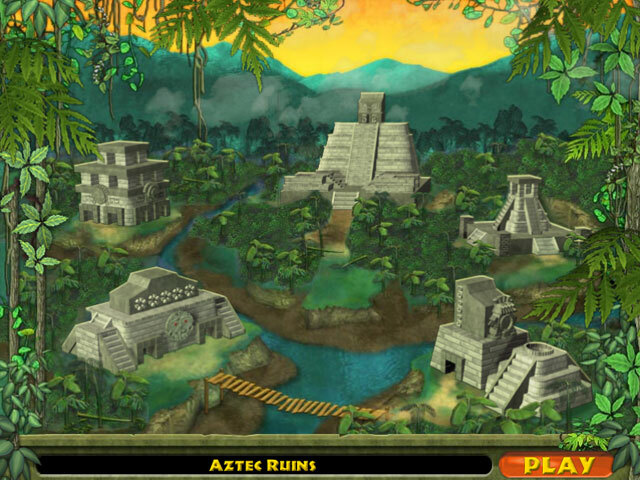 Join Dr. Felicity Turnstone in an all-new adventure, exploring the ruins of the Aztec Empire. 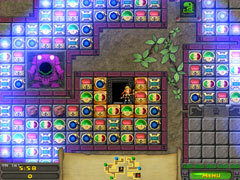 Nefarious thief and Felicity's arch-enemy, Shady McGrady, is out to steal the Aztec princess' jewels...unless you can reach her secret tomb first! Use the innovative Match-3 Exploration system, first introduced in Jewels of Cleopatra, to guide Dr. Turnstone on her quest. 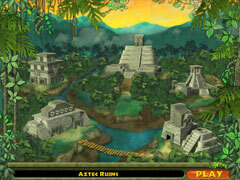 Match jewels to clear a path through 65 unique levels across five mysterious Aztec sites. Choose the best paths as you traverse dark chambers filled with puzzling mini-games, water traps, tumbling rocks, and sticky spider webs. Can you rise to these challenges, and reach the tomb first?